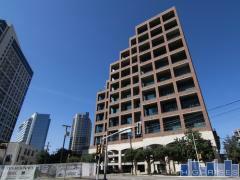 The Renaissance on Turtle Creek Condos of Dallas | 3225 Turtle Creek Blvd. The Renaissance is a high-rise development along Turtle Creek that was built by Crescent Heights in 2001. Some homes are finished out with hardwood floors, granite counters, terraces and marble baths. HOA dues are relatively low for the neighborhood, and include many amenities such as valet parking, 24 hour security, two pools, business centers and state of the art workout facilities. Have any comments or questions about Renaissance on Turtle Creek? Ask your question and/or share your thoughts about this Building. Are taxes included in the HOA fees?